If it had nothing any better, it is orange, which always looks great in this type of machinery. But this is another gorgeous model by dfs473, built a few months ago. You may also see the Part II, at this other video. Apart the traditional functions from a Wheel Loader, there is also an interesting and quick releasing mechanism, to easily switch the front tool. In the video we can see how, with the shovel being replaced with a fork tool after 1'30''. 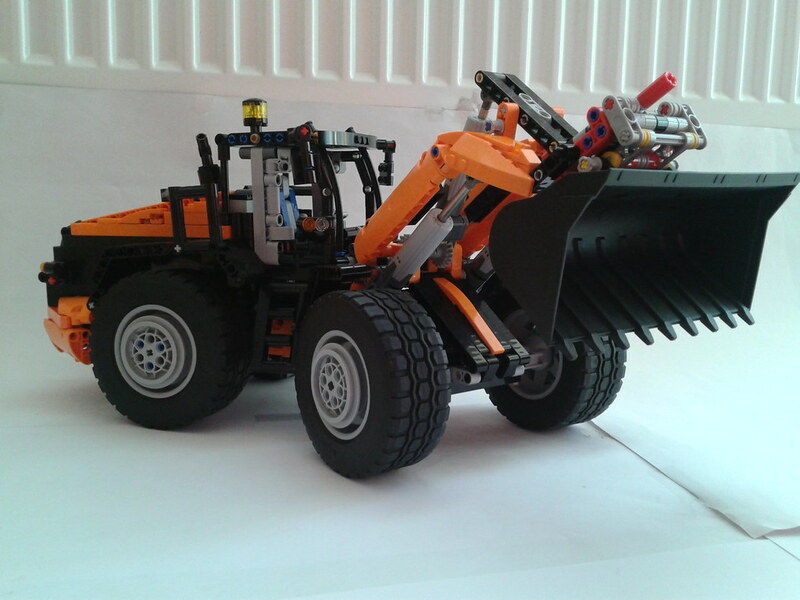 You can find additional photos from this model, on dfs473's Brickshelf and flickr galleries.